With shows like “Flip or Flop” and “Property Wars” attracting TV viewers, Americans have become more interested than ever in how to buy a foreclosed home. If you can purchase an inexpensive home, your mortgage payments will be low for the life of the loan. Buying a foreclosure can seem like a complicated and potentially expensive process. But it’s actually not so different from buying a regular home. When a homeowner fails to make mortgage payments, lenders have the option to seize a home, a process known as foreclosure. Much like a car loan is tied to the collateral, the vehicle, your mortgage is tied to your property. If you fail to make payments, your lender has the right to seize the collateral your home. In some states, foreclosure is a lengthy legal process that can take years. In others, it can take less than a few months and bypass the court system completely. There are essentially two categories of foreclosed homes: bank-owned homes and real estate owned (REO) properties. Both bank-owned and REO homes are under the ownership of the lender, which, in many instances, is a bank. The only distinction is what stage the foreclosure is in. Bank-owned homes are in the thick of foreclosure, meaning the homeowner has stopped making payments. In turn, the lender has started the legal process to remove him or her from the home. Foreclosed homes are “bank-owned properties” that eventually go to auction, where the bank tries to recoup the money for the property. If the home doesn’t sell, it’s still bank-owned, but it is now known as an REO home. REO properties have already gone through the auction process and remain unsold. 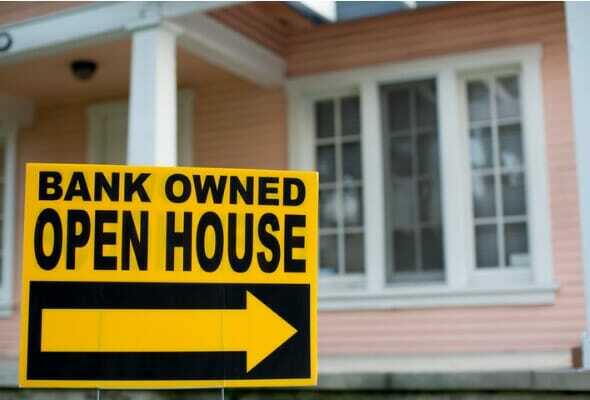 The bank or lender retains ownership and tries to sell these properties, oftentimes through REO real estate agents. Before you start looking to buy a foreclosure at foreclosure auctions or REO listings, make sure you can get a mortgage. Buying with cash is the surest way to secure a property, but that’s not an option for most homebuyers. If you’re planning on using a loan to buy a foreclosure, you’ll want to prequalify and gain preapproval before you start looking. Preapproval will give you your mortgage rates and terms before you put an offer in. It can help you show that you’re a serious buyer. While you may think that getting a mortgage through the bank selling the property is your only choice, it’s not. The lender treats the foreclosure and new loan as completely separate transactions, and they are. As a result, it’s not easier or even advantageous to use the same bank, unless the rates and terms make sense for you. Finding the perfect mortgage lender doesn’t have to be hard. If you’re a first-time foreclosure buyer, you’ll want to use a real estate agent versed in REOs. You may think saving on fees and doing it yourself is the smart choice. But in the long run, an agent can save you time, money and frustration. Many mortgage brokers and agents have years of experience under their belt and can steer you toward properties that meet your specifications. As always, when choosing a professional to work with, look for training, testimonials, reviews and other indicators of knowledge and experience. Whether you bid at an auction or negotiate for an REO through your agent, the third step is execution. This is when you put an offer on a home that fits your budget. You’ll want to make sure your budget saves room for inspections, closing costs, insurance, property taxes, repairs and renovations. If you find something at the top of your means when buying a foreclosure, you may not be able to cover all the necessary expenses. You can find real estate auction listings online, through real estate agents, in local newspapers and at your local city hall or court. You can find REO listings directly through banks and through larger real estate sites like Zillow. Once you put an offer on the home, you’ll have a period where you can arrange for inspections. 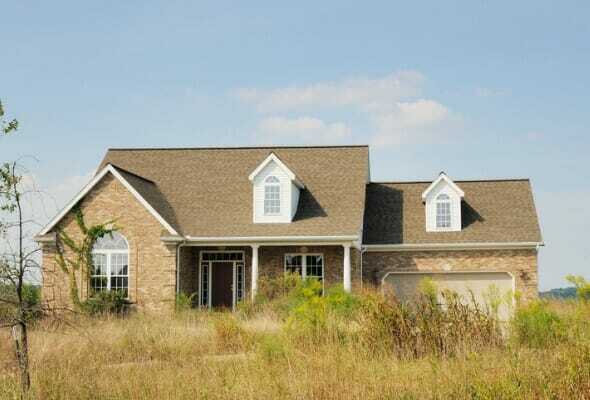 If it’s allowed, you may find it wise to inspect the property prior to putting an offer down to buy a foreclosure. In general, inspections cost anywhere from $400 to $800, depending on what options you choose. For a foreclosed home, you’ll want a thorough home inspection, including add-ons such as a termite and radon check, along with a sewer and water line assessment. The more you know up-front about the state of the home, the better. As for resolving liens, many foreclosed properties have more than one loan. The previous owner may have had a piggyback loan from a different lender than the main loan. A reputable title company can help you sort through the liens and untangle any potential conflicts before you move forward with the loan. If everything checks out, move to closing and the keys to the home will be yours. Once you finalize the logistics to buy a foreclosure, it’s time for the work to begin. Many foreclosed properties require extensive repairs to get up to code. The work can range from electrical upgrades and plumbing repairs to full-scale roof replacements and foundation work. Your inspection should uncover most of the work that needs to be done. Once you’re finished with fixing up your foreclosed home, it’s time to move in. Buying a foreclosure isn’t for everyone. It takes work to secure funding and carry out the renovations necessary for foreclosed homes to get up to code. That can be a heavy and costly workload. That said, if you’ve done the research, weighed the pros and cons and have your heart set on a good deal, go for it. It’s a harder road to homeownership than buying a move-in ready place, but it can save you a great deal of money if you do it right. If you’re planning to buy a foreclosure by using a specialized government loan, such as a VA loan, FHA loan or USDA loan, make sure you do your research before you dive into the foreclosure market. Government loans come with certain housing standards to meet. That means you won’t be able to get just any foreclosed home. In general, it’ll have to be in relatively decent shape. Before you even start the home hunt, it’s important to know how much house you can afford. Starting the house search with a number in mind can help keep your expectations tailored to what you can actually afford. Buying a home is a massive investment, and a financial advisor can help you fit it into your long-term plans. To find a fiduciary financial advisor, stop by SmartAsset’s financial advisor matching tool and answer our short questionnaire. From here, you’ll be paired with up to three advisors in your area that are equipped to handle your needs. The post How to Buy a Foreclosed Home appeared first on SmartAsset Blog.